Astragalus has been central to Chinese herbal medicine for centuries. It is considered an important tonic herb (an herb that works in several systems of the body) and is used to prevent and treat a wide range of physical, emotional and mental issues. Most commonly, Chinese practitioners prescribe Astragalus in order to restore qi (pronounced “chee”, meaning lifeforce) in individuals who present with weakness and fatigue. 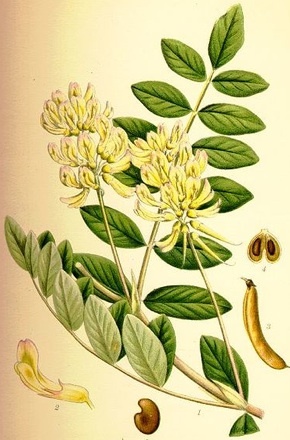 Astragalus was discovered nearly 5000 years ago by the Chinese herbalist Shen Nong who wrote about it in his Shen Nong Pen Tsao Ching (circa A.D. 100), a record of the over 300 plants he discovered and ate in order to log their effects. Astragalus went on to be the most widely used medicinal herb in Chinese medicine by 200 BCE and continues as such today. By the 1700’s the medicinal properties of Astragalus were known by European botanists. American varieties of Astragalus were used medicinally by many tribes of Native Americans to treat a wide range of ailments. The Lakota tribe chewed the Astragalus root to relieve back pain and cough and the Lakota women used it to promote the production of breast milk. It was also used to create a steam vapor as a respiratory treatment. The Cheyenne used the leaves and stem to relieve skin irritations such as poison ivy and ground the root to treat open sores. However it was not until the 1980’s that Astragalus was introduced to a modern American society. Astragalus is native to Asia. It is found specifically in the north western Chinese provinces of Shanxi Neimen, Gansu, Nign Xia, Heilongjian, Jilin, Xinjand and Sichun as well as north eastern parts of China. Astragalus also grows in Mongolia and Korea. As the knowledge of its healing properties were spread across the Middle East and Europe it began to be cultivated in Turkey, Syria, Lebanon and northwest Iraq as well as most northern climates of Europe and North America. There are over 2000 species of Astragalus including 400 American species. American Astragalus is commonly known as Locoweed and is poisonous to livestock. However, only two specific species of Astragalus are commonly used in herbal medicine, Astragalus membranaceus and Astragalus mongholicus, both of which are native to Asia. Astragalus is a legume and a member of the pea family. It has a sweet smelling yellow blossom and a hairy stem. Astragalus is a perennial plant that grows best in sandy, well drained soil and full sun. The shrub-like plant grows to a height of 16 inches to 36 inches and its leaves are made up of 12 to 18 pairs of sub leaves. Astragalus plants are pollinated in the spring by bees, moths and butterflies. The plant matures after four to five years of growth and can be harvested in the spring and fall. If grown for commercial use it is best sown in the spring however, due to a high demand, Astragalus is now grown in large artificial environments which use growth accelerants to mature the plants more quickly. It is the yellow core of the Astragalus root which holds the medicinal qualities. The root is long and thin with a white, yellow or cream color. Astragalus is most commonly compared to licorice in taste and smell. When harvested the root is cleaned and moistened then cut into slices. The sliced root is dried or processed with honey. The roots can then be ground into a fine powder to be used in teas or soups. However the majority of Astragalus is shipped worldwide to be manufactured into other forms such as, capsules, concentrated liquids, injections, ointments and tinctures and used as herbal supplements. Other phytonutrients found in Astragalus include choline, betaine, gluconic acid, sitosterols, linoleic acid, gamma-aminobutyric acid, and asparagine. Trace minerals found in Astragalus include zinc, iron, copper, magnesium, manganese, calcium, potassium, sodium, cobalt, rubidium, molybdenum, chromium, vanadium, tin, and silver, tantalum, hafnium, europium, and thorium. The presence of these and other nutrients make Astragalus beneficial for a variety of physical, emotional and mental ailments. Astragalus is indicated by Chinese herbal practitioners as well as modern day research to be used for a long list of medical or mental issues. Astragalus is more commonly used to boost the immune system and prevent a variety of illnesses including those indicated above. Most of the research on Astragalus has been carried out in China, however since the 1980’s American researchers have been investigating the potential benefits of Astragalus for individuals who have been diagnosed with cancer. There is some evidence that Astragalus may protect patients’ immune systems from the effects of chemo therapy and radiation. Other scientific studies have investigated the affects of Astragalus as a general immune system support in individuals recovering from a variety of illnesses. The role of Astragalus in the treatment of HIV is the focus of some of most recent research in America. According to a study by UCLA Astragalus acts on cells in the immune system called telomeres. During the progression of HIV telomeres are shortened and impedes the body’s ability to replicate immune cells. It is the substance TAT2 found in Astragalus that slows the shortening of the telomeres. Further TAT2 was found to increase the body’s production of chemokines and cytokines which help to block the proliferation of the HIV virus. In another promising study, researchers combined Dang Gui (Angelicae sinensis) and Astragalus (Astragalus membranaceus) in a six month, randomized, double blind, placebo controlled study to measure the effects the herbal combination had on menopausal symptoms. Results indicated a reduction in hot flushes for women who reported mild hot flushes but not for women who reported moderate or severe hot flush symptoms. The recommended dosage of Astragalus for adults will vary according to the form in which it is delivered. 3 to 6 grams of dried root in 12 to 16 ounces of water 3 times a day. 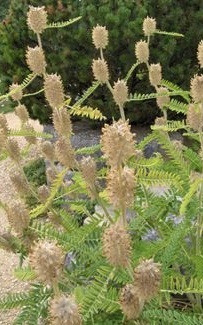 Astragalus is thought to intensify and prolong fever therefore it is not indicated for children with fever. However it may be used to support a child’s immune system. A child’s dose should be based on weight and should be a percentage of the adult dose indicated by the specific product used. For example, if the adult dose is based on a 100 lb adult and the child weighs 60 lbs, the child’s dosage would be 60% of the adult dose, or about 2/3’s. Astragalus has been used in Chinese medicines for centuries and few side effects have been recorded. However, any dosages over 25 grams a day may weaken the immune system. Mothers who are pregnant or nursing should consult their physician before taking any herbal remedies. Astragalus should not be used in transplant patients as it may counter act anti-rejection drugs. Anyone taking beta-blockers or anticoagulants, Phenobarbital or diuretics should consult their physician. Individuals with allergies to legumes may have an allergic reaction. Also, Astragalus may increase the body’s production of growth hormone. Thanks Kim, I found your information to be very helpful and well organized.